Premium business centre with easy access to world class entertainment right in the heart of Atlanta. A comprehensive list of amenities and services to meet a variety of business needs. Impress your customers with a prominent business address and architecturally pleasing details. Type A facility in the heart of downtown Atlanta amid world class businesses. The centre provides large conference rooms, state of the art technology, professional staff, catering and internet. Enjoy easy access to entertainment, shops and fine dining as well as a variety of transport links. 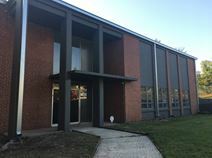 Amongst the campus buildings of Georgia Institute of Technology this innovative working environment is fully equipped and offers co-working or private executive suite options. Overlooking the Atlanta Braves Major League Baseball team home ground the energetic surroundings provide a unique home for your business. The local transport links are highly convenient, with reliable and frequent connections in operation in close proximity to the center and its general vicinity. Home to the Atlanta Brave’s baseball team and the vibrant new Coca-Cola Roxy Theater, this is an iconic location to be. After a long, hard days work, enjoy a game or a comedy show with the team or clients. This is an experience like no other. Collaborate with like-minded individuals in the community and enjoy the worldwide access to centers around the globe. The on-site management team will make sure all of your business needs are met. Close to a MARTA station this historic corporate office building is great for start-ups and small businesses looking for office and warehouse space. The warehouse is fully insured and alarmed with cameras, in a safe location. Whether you are seeking a pedestrian- and bike-friendly community along the Atlanta BeltLine or you’re looking for a neighborhood convenient to major thoroughfares, West End has it all. Highly desired area just north of Atlanta is offering executive suites, providing exceptional service and amenities to meet all types of business needs. Easy access to major highways and surrounding cities. Newly built business center in Alpharetta newest development. State of the art technology, VOIP, sound proof offices, lounge with plasma TV, customer service area, conference rooms, and tastefully appointed but practical furniture. The regional transport links are also excellent and provide a wide range of both frequent and convenient services in operation throughout the wider area, making the site easily accessible. Top of the line business centre offers different types of offices to meet a variety of business needs. Beautiful reception area, cutting edge technology, friendly support staff, conference rooms, videoconferencing and virtual offices. Conveniently located within easy access to major roads and MARTA. Large offices offering an array of amenities and services with flexible terms to meet all types of business needs. Located amid well known business zone with easy access to surrounding cities and conveniently close to the Mall of Georgia. Centrally located business suites in landmark office centre. This high rise boasts a state of the art fitness centre, hotel, conference centre, on-site restaurants and offices with breathtaking views of Atlanta and Stone Mountain. Set amid serene gardens it is conveniently located close to major highways, public transits, shops, dining and entertainment. Situated in the heart of Gwinnet County, this property is ideally located, and offers a lovely marble lobby, on site security, a fitness center and much more. This is a Class A building with a full range of business support services available. Strategically situated in the heart of the main corporate perimeter and region's foremost commercial hub, this exceptionally well equipped and prestigious class A business environment provides flexible office space solutions that also have easy access to a convenient on-site cafeteria, a provided fitness center with health club provision and a beautiful courtyard area, offering a relaxing and impressive external area. This exquisitely furnished and state of the art corporate installation offers a range of technologically sophisticated workspace solution packages all set within an impressive and fully functional contemporary business installation and landmark office building. With a range of high quality on-site facilities and services including spacious meeting rooms, high speed internet and secure parking; this business center is the ideal working environment for any professional. Top of the line business centre located on fifth floor of professional building. Provides gorgeous views of Atlanta and offers state of the art technology, exercise room and on-site restaurant. Convenient covered parking also offered. Easy access to major highways, malls and residential areas. Type A business centre with luxurious details throughout. Business owners will benefit from using any of our five conference rooms and two spacious training rooms, suites with ready to use technology and beautiful appointed reception area. Easy access to Northpoint Mall, lodging and residential areas. Designed to give a loft-style feel this historic building is just three miles from the Amtrak station and has been recently refurbished to provide a mix of private and collaborative flexible workspace options along with conference rooms, common spaces, and a mother’s room. An abundance of on-site parking is also available while you will also be surrounded by some of Atlanta’s best shopping, dining and entertainment options. Business suites with a comprehensive list of amenities and services located within close proximity of Cumberland Mall. Convenient access to major highways and Galleria Convention Centre. Services such as latest telecommunication system and on-site professional personnel. This center has direct access to the GA 400 and I-285 freeways. There are excellent links to the neighborhoods and it is home to the regions largest business hubs. Connect with one of the on-site management team members and stop in to customize your business needs today. Check out the meeting rooms, conference rooms and the many on-site amenities for you. Start growing your business today by choosing this center. 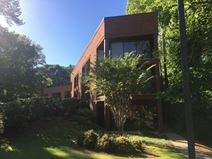 Business centre located in beautiful Sandy Springs offering time share offices with a comprehensive list of services to meet the needs of a variety of business needs. Easy access to major highways and neighbouring cities. Innovative business centre providing cutting edge technology and professional staff. Easy access to ATL international airport and downtown. This business center is located on the fifth floor of a Class A office building with green credentials. Close to Interstate 85, this center offers car parking and bus services to the airport and local rail station. With great views of the runways, this centre overlooks one of the business international airports in the region. The site is also easily accessible from anywhere in the region due to the fantastic local transport links. Business centre offering time share offices with a comprehensive list of services to meet the needs of a variety of business needs. Easy access to major highways and neighbouring cities. We are located in an award winning office park just blocks away from Emory Hospital with plenty of leisure activities and shops nearby. Our class A office are fully furnished and ready to move in. We offer flexible terms. Top of the line office building offering a variety of services and amenities including on-site café, complimentary parking and gorgeous terrace. Easy access to major highways, lodging, shopping and dining. This exquisitely furnished and state of the art contemporary business center installation provides an engaging and collaborative working environment, fully functional and fitted with a number of state of the art technological facilities, equipment and on-site services available for all clients. The regional transport links are also very good and offer a number of convenient and frequent services across the area. This fantastic and exceptionally prestigious commercial establishment is a highly renowned business hub throughout the locality and wider reaches of the area and is situated adjacent to Lennox Square mall, with access to a significant range of fine dining options and luxurious hotels all within close proximity to the site. Convenient and highly secure parking provision and a variety of services are also available to meet any business needs. Office suites boasting cutting edge technology, professional staff and meeting rooms. Close to North Point Mall and major highways. Set on a business park that is home to a number of renowned international corporations, this eye-catching contemporary business centre offers a range of office space solutions, along with a host of business support services. Well placed, with easy access to I85 and I285. The regional transport links are also very good and offer clients a highly convenient number of travel options, with extensive road and rail networks available. Professional & Courteous Staff that will make all guest feel comfortable alongside a friendly Receptionist to greet your Clients, Free Parking with plenty of space to park. Phone Answering, Service Virtual Office Packages, Hourly and Daily Meeting Room Rentals. Nestled among the leading technological companies in the Deerfield Business Park, with easy access to major highways. Take advantage of our onsite exercise facilities, flexible terms and fully furnished offices. Top of the line business centre boasting a variety of offices for all types of business needs. Services such as state of the art technology, professional staff, conference rooms, beautiful reception area and full kitchen. Easy access to major highways, entertainment, shops, dining and lodging. The regional transport links are also excellent and provide frequent and convenient services throughout the region. This exquisitely furnished business center offers premium standard office space in a prestigious professional building surrounded by well known businesses in the area. Across from North Point Mall with easy access to major highways, shops, dining and lodging. The center also provides an experienced and specialist on-site support team, available to provide professional administrative assistance on request. Business centre in corporate park boasting fully furnished suites, conference rooms, large training room and videoconferencing. Close to North Point Mall, restaurants and lodging. Top of the line business centre in highly desirable area of Atlanta. World class services and amenities including high end shops, dining and lodging. Enjoy 24 hour access with professional staff and elegant reception area. Easy access to GA 400 and I-285. This soon-to-open center is located in one of Atlantas highest points, in an inspiring wooded setting. There are a number of local amenities while the entire city is easily accessible via the I-75 or I-285. This executive and fully functional business center installation is conveniently situated very close to a number of fantastic local amenities and public services in the very center of northwest Atlanta. The center occupies an award-winning building, and offers stunning designer interiors and a comfortable business environment. Cobb County is served by Hartsfield-Jackson Atlanta International Airport. This historic building offer clients with an office space that they can truly call their own. Providing clients with the choice of fully serviced offices or coworking space, this building adds value by offering flexible leasing packages. The long list of amenities includes an on-site management team, 24 hour access and access to different centers nationwide. This office is surrounded by many activities in the Buckhead area. Business centre in highly desirable area of Atlanta offering state of the art technology and unparalleled services. Beautifully appointed reception area, boardroom with videoconferencing capabilities, conference rooms, lounge and professional staff. Easy access to high end shops, dining and luxury hotels. This fantastic collaborative workspace, situated in a tower building in Downtown Seattle is great for those that do not wish to work in a conventional office. The center gives tenants access to a new mother's room for those eager to work and look after their family. Amenities such as private phone booths, comfy break-out areas and complimentary fruit infused water give everything possibly needed throughout the working day. The space also has an on-site wellness room which tenants have access to as well as providing a dynamic, collaborative atmosphere with a multitude of creative and innovative businesses such as software developers and marketing companies, giving the space a new age vibe. Located in Atlanta, with a short thirty minute journey into Downtown Atlanta, this centre is an excellent area with plenty of amenities. On-site staff are available to support you throughout, from a reception service to personalized support. There is also a daily cleaning service, to take care of the small things so you can focus on your business and development. To keep you going throughout the day there is unlimited fruit water, and micro-roasted coffee. Sound proof phone booths allow for completely private phone calls, whilst modern conference rooms cater to a large group for meetings and calls. The working areas are custom designed, with unique wallpaper and stylish marble tables. At this center you will not only experience a fresh and inspiring new work environment, but you will join a community of likeminded and forward-thinking entrepreneurs. Impressive business centre located in top of the line high rise providing top notch services and amenities. Within close proximity to residential communities as well as corporate markets. Easy access to shopping, dining and entertainment with well known Lenox Square Mall and Phipps Plaza nearby. This architecturally stunning business centre in Buckhead business district provides a highly professional and comfortable working atmosphere in a contemporary corporate office building. Clients can enjoy easy access to MARTA station, world class entertainment and access to city life throughout the vibrant and popular locality. Local transport links are also excellent, with nearby road and rail links offering frequent and convenient services daily. Office space in high rise in prominent Buckhead. State of the art and modern details throughout boasting meeting rooms, professional staff and energy efficiency. Easy access to MARTA, restaurants and shopping. This exquisitely furnished and exceptional quality premium workspace venue offers office suite solution packages for corporate tenants in search of innovative and technologically advanced working areas, with the potential to energise and promote a corporate culture of vibrancy and efficiency in business operations. Amongst the high quality equipment and detailed occupancy packages for client across the diverse working suites available, the center is also ideally located in close proximity to everything a professional tenant could require. This stylish serviced office provides space suitable for lawyers and other businesses for whom a professional and highly prestigious image is everything. Surrounded by other legal practices, and close to places to eat, shop and relax; this fully functional and extensively equipped business center offers ideal access to everything any type of professional could require. The locality is also well connected and easily accessible. This space has three floors of fantastic communal and private office space in a new, contemporary building in Midtown Atlanta. The surrounding area has an abundance of institutions of higher education, noteworthy architecture, and numerous cultural centers, so much so, that the area is often referred to as the city’s heart of the arts. Lunch options are endless with the countless eateries and restaurants around this space, also perfect for client entertainment and dinners. This relaxed collaborative environment is located in Midtown Atlanta, a vibrant community and an up-and-coming tech hub, with a unique mix of businesses and scenic historical culture. A tech-powered professional business center offering fully furnished executive suites, open-plan office space and co-working areas. Furthermore, Hartsfield-Jackson Atlanta International Airport (ATL) is just 20 minutes away, perfect for the travelling professional and for out-of-town guests. In the center of Atlanta"s "Midtown Mile", a vibrant area home to Fortune 500 companies, leading law firms and cutting edge businesses, you can find this stunning high-rise building with spectacular views overlooking Piedmont Park and Downtown Atlanta from the 36th floor turn-key private, semi-private and co-working office space options. The regional transport links are also excellent and highly convenient. Offering three floors of contemporary coworking and office space, this iconic high-rise is the perfect setting for your new workspace. The conference rooms, private offices and shared workspace all have stunning views over the parks and sculptures that surround this influential midtown location. This space provides you with everything you could need from high speed internet to fruit infuse water and micro-roasted coffee. There are printing facilities provided and private phone booths, ideal for private calls. Furthermore there are on-site staff who organize weekly events such as happy hours and workshops, perfect for building relations with other like-minded professionals. With both collaborative working and private glass office space for up to five people, this business center also provides an on-site café, a mother"s room, beautiful lounge areas and huddle rooms, strategically located on the prestigious Peachtree Street. This contemporary and exquisitely furnished business centre boasts excellent views of midtown Atlanta amid carefully manicured lawns and is within close proximity of a vast array of local amenities, many of which are within short walking distance from the site. Tenants can enjoy convenient access to major highways, public transit lines, and entertainment; and thus benefit from the center's significant accessibility and services provided on a regular basis. Business centre in Midtown Atlanta offering unparalleled services with world class amenities. Enjoy access to conference rooms, training rooms and state of the art technology. The building boasts excellent city views. Convenient access to lodging, fine dining, shopping, entertainment and public transits. 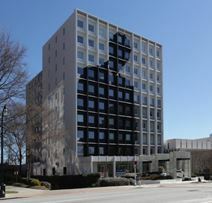 Business centre located in well known high rise amid Atlanta's cultural arts district. Meeting rooms with state of the art technology, on-site café, parking garage and friendly staff. Easy access to MARTA, shops and dining. Being in the heart of Atlanta’s premier urban district, this center is in one of the most creative and dynamic locations The MARTA transit is within a reasonable distance making for an easy commute and there are tons of trendy shops, boutiques and restaurants close by. With a creative work environment, this is perfect for entrepreneurs, start-up’s or small, expanding businesses. Stop in today an speak to the on-site management team about what is best for you. This exquisitely furnished and technologically sophisticated business center location offers a range of move-in ready office suites and extensive professional and corporate services and facilities with friendly administrative staff. Easy access to civic centres, luxury lodging and entertainment attractions are available both on-site and within the immediate vicinity as well as a number of convenient and frequent transportation services. Office space in the centre of Atlanta's commercial district. Boasting gorgeous city views with easy access to world class entertainment, fine dining and shopping. This center offers a long list of premium amenities to go along with the private offices suites and coworking desks. Office plans come with all inclusive pricing packages, ensuring there are no surprise fees. Both meet and conference rooms are very spacious and are fully equipped to handle your business needs. 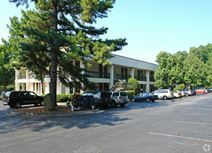 Located within 4 miles of the local DeKalb Peachtree Airport and right down the street from the local Field Park 11.
Business center located in highly desirable area of Atlanta. Highly visible from Georgia 400 and I-285 offering easy access to major highways. The centre boasts conference rooms, beautiful reception area, lounge, friendly staff, gym, on-site café and generous covered parking. The regional transport links provide a number of convenient and frequent services in operation throughout the immediate vicinity. This A-Class and highly prestigious corporate business center is situated in highly desirable area of Atlanta. Located in the heart of Atlanta's business district this business centre boasts unparalleled service and amenities. Conveniently located on Piedmont and Peachtree intersection with easy access to shopping, dining and transit links. Your office comes compete with quality furniture and access to a fully stocked kitchen. Executive suites located in Atlanta's well known financial district, providing spacious conference rooms with video conferencing. Suites with stunning glass windows offering excellent views. Convenient access to shopping malls, major highways and entertainment. 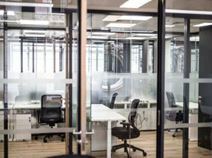 Located in a space of 30,000 square feet in one of Atlanta" s most exciting new developments this business center provides fantastic collaborative workspace with private offices available, in the Ponce City Market area. Business centre with cutting edge technology and an array of services to fit your business needs. Located in Woodstock with an easy drive to Downtown Atlanta tastefully furnished offices with private entrance, internet and satellite TV are just some of the services offered. Convenient access to schools, restaurants and shops. Executive suites in beautiful area of Atlanta boasting a grand reception and tastefully furnished suites. Enjoy the use of various conference rooms, cutting edge technology, training room and fitness centre. Easy access to major highways and lodging. Well appointed business centre offering a variety of services and office space centrally located. Easy access to major highways, lodging, shopping and dining. Office suites offering services such as administrative and IT support staff. Fully furnished suites come with access to meeting rooms, catering services, free coffee and mail services. Satellite offices are also offered. Conveniently located adjacent to Mall offering a variety of shops and restaurants. Close to I-85. Centrally located business centre with close access to major highways and close proximity to downtown. We have an ample variety of services and office solutions to meet your every business need. Contemporary business suites offering warehouse space and a variety of services to meet your business needs. Within minutes’ to Atlanta and easy access to public transits. Easy access to shopping and dining. 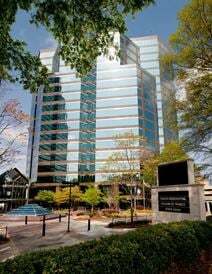 Office space within gorgeous high rise located in the heart of Atlanta with easy access to malls, public transits and major expressways. There is also an on-site fitness center and cybercafé available for tenant use. The regional transport links are also fantastic, with an extensive selection of both convenient and frequent services in operation throughout the area and this makes the center easily accessible. Brand new offices located in well known industrial zone. Enjoy an array of services with flexible terms and large spacious offices. Convenient access to shops, restaurants and surrounding cities. Office space with spacious warehouse within close proximity of Atlanta. Easy access to public transportation, major highways and cities. Business centre in serene area of Atlanta close to Windy Hill Road with easy accessibility to major highways. Boasting a variety of unique services including Bi-lingual reception staff. This extensive and fully functional business center is a key location within the vibrant and commercially significant business district of the area. Offering all prospective tenants with a multitude of fantastic corporate facilities and professional business services, this is the perfect location for business tenants of any industry and working background and the site can easily cater for any type of business requirement. Business centre providing a variety of different sized offices to house from small business to larger corporations with convenient complimentary parking. Easy access to major highways and within close proximity to a comprehensive list of restaurants and shops in the area.